CelebrateGreece.com enjoys providing our audiences with inspiring experiences of Greece through our videos and DVDs, and by assisting you to travel to Greece to experience its history, food, beauty, romance and glory. We receive many requests and questions from visitors to CelebrateGreece.com concerning all types of travel to Greece, regarding everything from hotel accommodations to yacht rentals/cruises, to destination wedding plans & honeymoons. While we do not book travel directly for our visitors, we do directly refer you to top travel agents specializing in Greece and the Mediterranean. 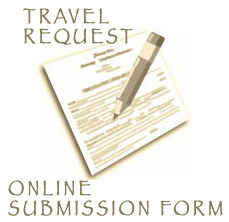 After you fill out our no-obligation Travel Request Submission Form, CelebrateGreece.com will match your travel wishes with the proper agents and/or experts who can make your travel in Greece a reality. By using this website, you agree to our disclaimer. • Want to get married in Greece? • Need Greek Travel Books/eBooks? • Explore Greece by Video! Why use our travel specialists? We know you value your time and by using one of our specialists you can save many hours searching for information and expertise that is often not available online. When planning and traveling to the Greek islands, the mainland and other parts of the Mediterranean, you can have a far more enjoyable experience from start to finish when you use a travel specialist who is knowledgeable and experienced about the areas. Plus, booking with one source allows you the comfort of knowing that if you have additional questions or something changes in your itinerary, even while traveling, someone is available to help with your travel plans while you continue enjoying your trip! For those wishing to get married in Greece, we can directly refer you to travel specialists and wedding coordinators who have planned many successful weddings in Greece. They can put together your romantic destination wedding and honeymoon as well as the travel needs of your wedding party and guests. Please note that there is paperwork involved in being married in Greece in either a civil or religious ceremony and this is where a specialist is also vital. So, if you are ready, click the link below or the Travel Request Submission Form images and take a few minutes to fill out our no-obligation, Travel Request Submission Form that will start you on your journey toward planning a trip to the Mediterranean that will create memories to savor for the rest of your life. • Wonderful Packaged Itineraries for Romance, Archaeology, History, Adventure, Culinary, Village Life, and much more! • Weddings, Honeymoons, Special Occasions, Anniversaries, Family Reunions & more! • Group Travel, Conferences, etc. • Private Tour Guides, Drivers, etc. • And many more options available! HAPPY TRAVELS, KALO TAXIDI, BON VOYAGE ! Disclaimer: Please remember CelebrateGreece.com does not book travel for you. We refer you to travel specialists, wedding coordinators and/or travel booking companies, etc. and you understand they are not associated with or employees of CelebrateGreece.com and by using links and/or services on this website you release and hold harmless CelebrateGreece.com and its parent company, officers, directors, shareholders, employees, accountants, attorneys, agents, affiliates, interns, subsidiaries, successors and assigns from any liability with your travel plans, wedding plans and/or answers to your questions. By accessing the links on this page, you are in agreement with this disclaimer message.. We also may wish to contact you to follow-up on your experience with your travels and we encourage you to contact us by Email about your travel experience.